Turkey will take steps together with the United States in Syria's Manbij region, Foreign Minister Mevlüt Çavuşoğlu said on Friday, following his meeting with new U.S. Secretary State Mike Pompeo in Brussels. Çavuşoğlu made the comment to Turkish broadcasters after meeting with Pompeo, who went straight to NATO headquarters on Friday, barely 12 hours after being sworn into his job. The U.S. State Department released a statement following the meeting and said that Çavuşoğlu and Pompeo "reaffirmed their support for the established bilateral process to find a common way forward on Manbij and also discussed the United States' commitment to supporting Turkey's national security concerns." The Turkish minister also said there was no French presence in Manbij and added Turkey could evaluate "good offers" for Patriot missiles or other air defense systems from allies. The two officials held a bilateral meeting on the sidelines of a gathering of top diplomats of NATO allies to discuss the situation in Afghanistan, Russia and NATO. 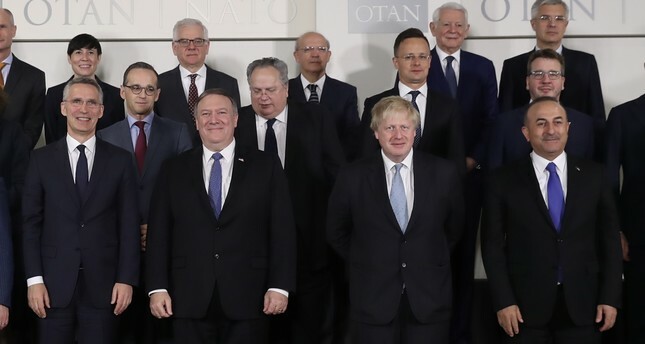 In the meeting, Pompeo reaffirmed the importance of the U.S.-NATO alliance and hold bilateral talks. Çavuşoğlu exchanged views on the current security environment and review preparations for the upcoming NATO summit to be held in Brussels" on July 11 and 12, according to a statement by Turkey's Foreign Ministry.